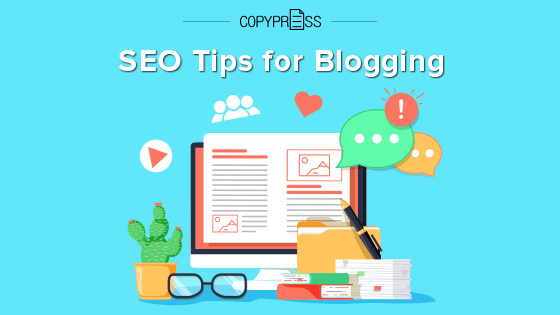 Blogging is an excellent way to boost your website’s search engine optimization (SEO) rating, which in turn improves your search engine ranking and chances of being seen by your target audience. However, simply having a blog isn’t enough to increase online awareness of your business. 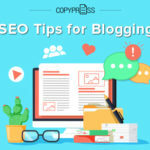 Use the following SEO tips to increase visibility and awareness of your blog and business efforts. Regular blog posts keep search engines interested. Every post you make signals your website is functioning and delivering current information. The more often you post, the more often search engine algorithms will comb through your site. This should keep your entire website prominently featured on leading search engines. 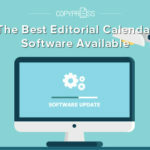 Forbes reported companies posting 16 or more blog posts each month receive four times as much website traffic as firms posting four times or less. Of course, Forbes noted posting regularly is only effective if your posts are of equal value. While quantity matters, it’s not more important than quality content. Keywords are the cornerstone of SEO. The best keywords don’t happen by accident. Just as you spend time researching the topics you’ll write about, take time researching the best keywords for inclusion. The best keywords feel natural, because they use the same language people do while searching for information. Some of the best keyword research tools come from the world’s leading search engine, Google. The Keyword Planner uses Google’s own data about keyword search frequency. It also suggests similar keywords to the ones you are considering. 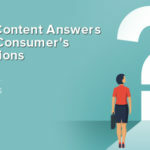 The “people also ask” and “Searches related to” sections on Google’s search engine results pages can also suggest commonly used phrases that make good keywords. Collate a list of good keywords before writing each blog post. While general keywords are a good start, detailed and specific keywords, called long-tail keywords, are the most important. “Dog breeds for allergies” and “diets for overweight cats” are good examples of long-tail keywords, as they’re more detailed than a more general keyword like “pet advice.” Specific keywords have less online competition, so using them can help you appear higher up in the search results for these terms. Once you have your list, try to incorporate as many of your keywords as you can naturally. Avoid overstuffing your articles with keywords, because this can turn readers off. Appearing prominently in search engine results is no use if readers don’t want to stick around to read your content. The most advanced search engines are also savvy enough to spot this sneaky SEO trick and will penalize your ranking. Think beyond your body content too. Your title tag, headings, and subheadings, blog post URL, meta description are all perfect places for keywords. The text might form the bulk of your blog post, but don’t overlook the importance of images for SEO. 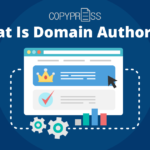 While search engine algorithms can’t index the images themselves, the text behind these images can also be valuable SEO tools. Use your best keywords in your image alt text, file names, and your caption text. Search engines pay attention to all these fields and use them to index your site. Think of links like the threads of a spiderweb. Just like the strongest spiderwebs have the most threads, the best-ranking blogs are typically the ones with the greatest number of links. Building your network of links takes some effort, but just like building a spiderweb does, but it can really pay off. Internal links connect pages in your website, including blog pages, to one another. Your internal links should always feel natural and add value to your readers. If you reference a blog post you’ve written in the past, link back to it so new readers can easily find it. Update old blog posts with new relevant links. If you mention one of your company’s products or services, link out to a page where potential customers can read more information and order it. While internal links boost search engine rankings, they’re not as valuable as external links. These are more difficult to attract, but cultivating connections will hold you in good stead. Join blog networks to widen your reach. Ask bloggers covering similar or related topics whether you can create guest posts for them to link back to content you’ve already created. Preparing a clear pitch detailing what you’ll write about increases your chances of landing a guest blogging spot. With more people using mobile devices to access the internet than computers these days, you’ll alienate a large segment of your potential readership if your blog isn’t mobile friendly. Studies show nearly 17 percent of American Baby Boomers, more than a third of 30- to 49-year-olds, and nearly 39 percent of millennials aged 18 to 29 have read a blog post on their smartphones in the last four weeks. Bloggers who neglect their mobile audience risk losing many readers. Maintaining a mobile-friendly blog also impacts your search engine results. In March 2018, Google announced it would index sites based on their mobile versions, rather than their desktop versions, first. This is the latest in several changes since 2015, which have seen websites that aren’t mobile-friendly receive traffic reduction penalties of at least 50 percent. Maintaining separate desktop and mobile blogs is one option, but it’s not the best for SEO, as any inbound links are divided between separate URLs. The responsive mobile design is a much smarter solution because it concentrates your traffic and links on single pages for greater search engine performance. This website design strategy builds blog pages that detect your visitors’ devices and behave in an optimum way for each one. A blog is a great tool for increasing business awareness, but its effectiveness is in your hands. 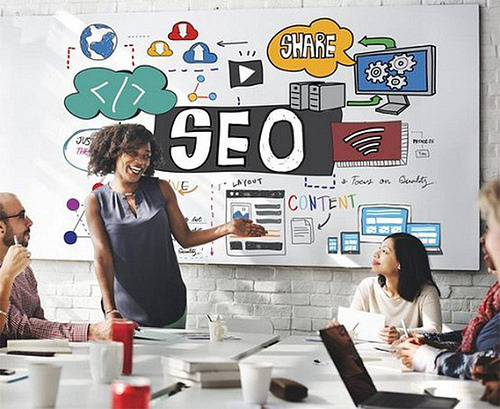 Keep best SEO strategies in mind to maximize your search engine ranking and reach, but remember that what search engines value is constantly evolving. Stay plugged into any SEO changes and adjust your blogging strategy accordingly for the best results. 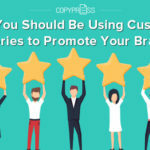 Why You Should Be Using Customer Stories to Promote Your Brand What Is Domain Authority?